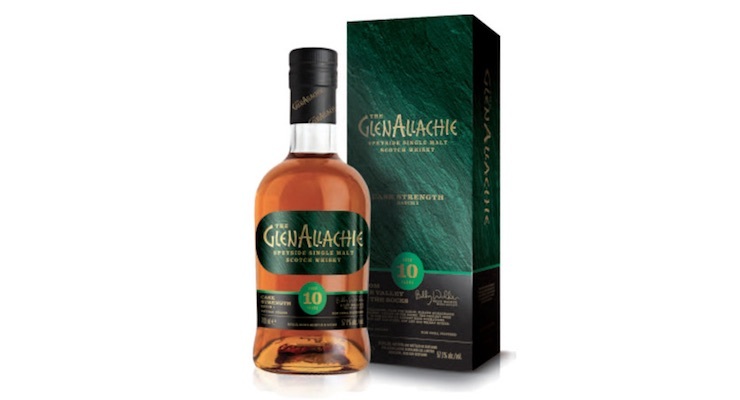 GlenAllachie 10 Year Old Available Again From Edencroft! Edencroft has managed to get hold of a few more bottles of the very collectable GlenAllachie 10 Year Old Batch 1! Whisky maker Billy Walker spends endless amounts of time in the GlenAllachie warehouses sampling across their range of casks, with over 40,000 on site it’s not a job for the faint hearted. However, it’s certainly time well spent when the results of his endeavours are tasted. After sampling this vast range of casks Billy was keen to showcase GlenAllachie bottled at natural strength. The GlenAllachie 10 year old Cask Strength Batch 1 is a limited edition product bottled with only 2,000 cases available worldwide. NOSE: Big notes of heather honey and toffee, with rose hip and spices tip-toeing in. TASTE: Honey, vanilla, toffee with a layer of rose hip, marmalade and Caribbean spices. Caol Ila / 8 Year Old Carn Mor Strictly Limited. BOTTLING SERIE: Carn Mor Strictly Limited. STATED AGE: 8 Years Old. Glentauchers / 8 Year Old Carn Mor Strictly Limited. Lagavulin / Jazz Festival 2015. CASK TYPE: Refill American and European Oak Bodega Casks. No vintage or age that I can spot this time, jazz is timeless. Matured in both American and European ‘bodega’ oak casks. Bodega doesn’t obligatorily mean ‘Spanish’, in case you’re wondering. They have bagpipes in Spain, why couldn’t they have bodegas in Scotland? COLOUR: white wine, which comes as a surprise. NOSE: it is a very bright, clean, punchy young Lagavulin, rather in the style of the popular 12yo CS. Seawater, lime, lemon, hessian, cigar smoke, seaweed, oysters, whelks, razor clams, cockles, mussels, langoustines… I’m joking! With water: damp raw wool and Islay mud. MOUTH (neat): exceptionally clean, crisp, lemony and smoky malt, one hundred percent spirit-driven as far as I can tell, pristine, salty, kippery… So, a blade. As often, it’s just a notch sweeter and fatter than its colleagues from the south shore, and we aren’t against that. With water: salt up, tar up, fish down. A little more austere now. FINISH: long, with a perfect tarriness, and no sweetness whatsoever this time. Comments: there was more sherry in earlier ‘Jazz’ Lagavulins. Now, I’m a sucker for both styles. TASTING NOTES: Serge at whiskyfun.com. Lagavulin / Jazz Festival 2016. CASK TYPE: Refill American Oak & 1st Fill ex-Bourbon. Dailuaine / Flora & Fauna 16 Year old. BOTTLING SERIE: Flora & Fauna. STATED AGE: 16 years old. COLOUR: Rich amber; light mahogany. NOSE: Cheddar cheese rind, backed by old Madeira. After dinner mode continues with walnuts and light butterscotch. This settles and becomes more orangey. PALATE: Straight, the whisky is full, sweet and warming. FINISH: Warming, with a light nutty aftertaste. Mannochmore / 22 Year Old Rare Malts Selection. Description: Pale gold in colour with a greenish tinge. Light bodied, a pre-dinner dram in the summer garden. Nose: Fragrant and aromatic as freshly cut mint. A slight shade of peat. Roses. Palate: Light, tropical fruity flavours, lime pineapple and cocoa. Buttery and creamy. Heather honey sweetness. Some pepper fruit acting as counterweight. Finish: Malty notes. Faint oak, vanilla and hazelnut hints. Trace of peat.